Established names and stars of tomorrow are shortlisted for the Red House Children’s Book Award 2012 – chosen and voted for entirely by children. Some of the biggest names in children’s fiction are joined by exciting new authors and illustrators on the shortlist for this year’s Red House Children’s Book Award, the only national award for children’s books that is voted for entirely by children themselves. What could be a better indicator of the books that will tempt children away from computer games and DVDs than a list drawn up by young people across the country, which pits literary heavyweights like Morris Gleitzman and Patrick Ness against outstanding debut authors such as Annabel Pitcher? Who will win? It’s up to children everywhere to decide. Voting is now open and the Red House Children’s Book Award would like to encourage every child in Britain to check out the shortlisted titles and vote for their favourite! The Red House Children’s Book Award is highly respected by teachers, parents and librarians and has brought acclaim and strong sales to past winners such as J.K. Rowling, Andy Stanton, Malorie Blackman and Anthony Horowitz. The award has often been the first to recognise the future stars of children’s fiction and has the ability to turn popular authors into bestsellers. Children nationwide are now invited to vote for their favourite of the ten shortlisted books. The category winners and the author of the best children’s book published in the 2011 nomination period will be announced – for the first time ever – at a glittering awards ceremony which takes place in the Queen Elizabeth Hall at the Southbank Centre in London on Saturday 18th February 2012. A dedicated website www.redhousechildrensbookaward.co.uk showcases all the shortlisted titles and featured authors. 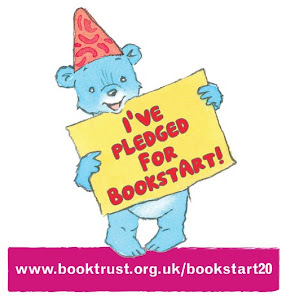 Any child can vote here for their favourite book until 20th January 2012.